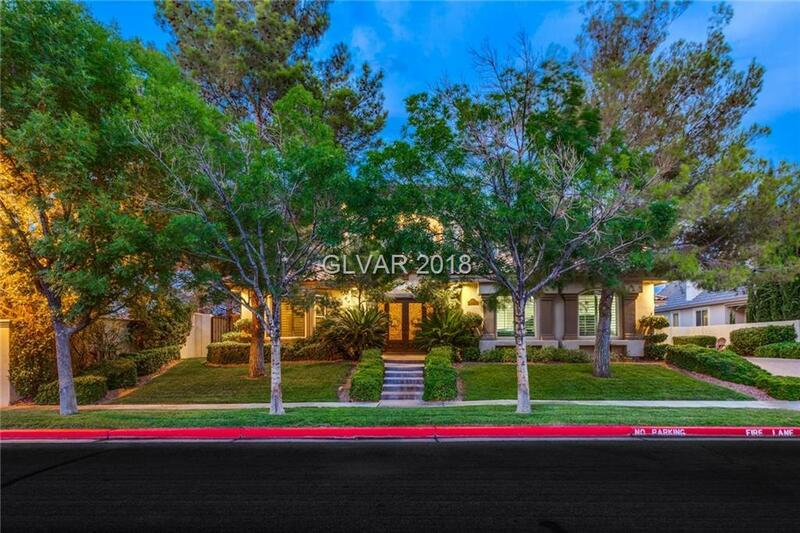 Gorgeous Custom Home Located in Guard Gated Green Valley Estates. Highly Upgraded w/ Custom Iron Doors, 2 Laundry Rooms, Den, Large Loft Area, Huge Master Suite w/ Retreat and Private Balcony. Master Bath w/ Jetted Tub and Sauna. Bedroom Downstairs w/ Private Entrance. Wet Bar and Wine Room in Family Room. Green Belt Park Area Next to Home. Directions: From 215 Exit On Green Valley Pkwy, Go South, Go To Wingbrook And Make A Right, Go Straight To Guard Gate, Make A Left And Follow Around To Coral Ridge, Home On Left.